One of the joys of shopping at farmers markets is picking out your own produce. As farmers market season kicks off again I am excited to reconnect with the farmers whose produce graces my summer dinners. A trip to one of these markets can yield nearly all that’s needed to make a spring dinner – fresh vegetables, local meats, tender herbs and salad fixings. For good measure, pick up a loaf of just-baked bread to round off the meal. Once underway, each week’s market promises the opportunity to try new items and new recipes, not to mention experiencing the freshest produce one can buy at the height of seasonal ripeness. 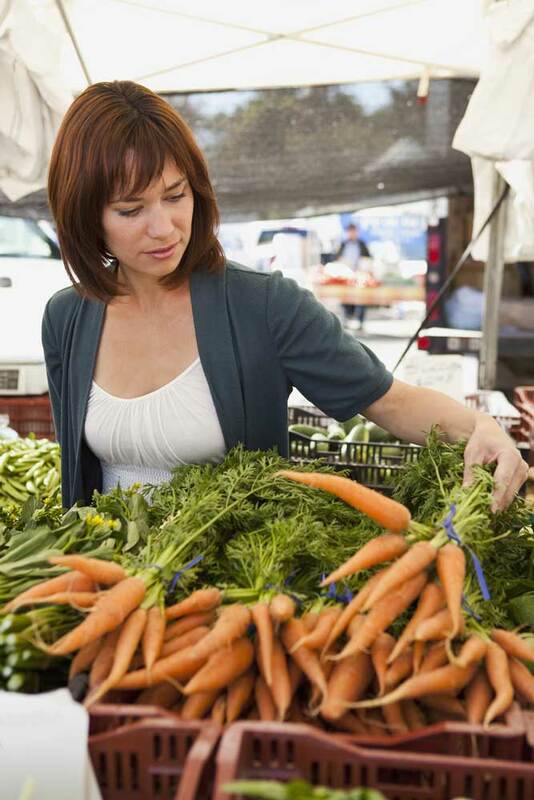 According to the Pennsylvania Association for Sustainable Agriculture (PASA), farmers markets are very popular with consumers who are looking to eat healthier . They said that Chester County boasts an abundance of farmers markets offering great varieties of goods including everything from fruits, vegetables and meats to specialty products like jams and baked goods. Markets tend to be less crowded when they first open and sell out of the more popular items as the day progresses. Don’t take the chance that sellers might be out of products you are looking for. Don’t be shy. Farmers are knowledgeable about their produce and can offer great advice on how to prepare an item, suggestions on pairing with other ingredients and even recipes. Rather than reaching only for the fresh tomatoes or corn, ask about what is being offered based on what is in season. Discover new foods and check out interesting varieties. Be a friend to the environment and the sellers by bringing your own bags or baskets. While most vendors can process credit cards, cash is always welcome and speeds your visit through the various stalls. Please note the hours for the Kennett Square Farmers Market changed this season. The new hours are from 3pm to 7pm on Fridays. Thanks!